Pepper and Cheese Mini Frittata, Thyme for Cooking healthy starter. 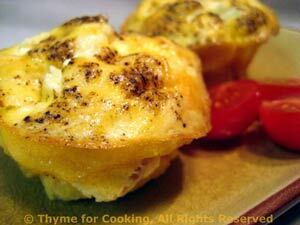 Divide cheese and add to the muffin cups. Crack the eggs into a large bowl, add olive oil, pepper and whisk well.